Oxfam America is a member of Oxfam - an international charitable organization that addresses issues that keep people poor. These issues include inequality, discrimination and lack of access to necessary resources. With the assistance of Oxfam, those who are less fortunate can gain water, food and land. Oxfam Gifts make this happen. I absolutely LOVE this charitable program. 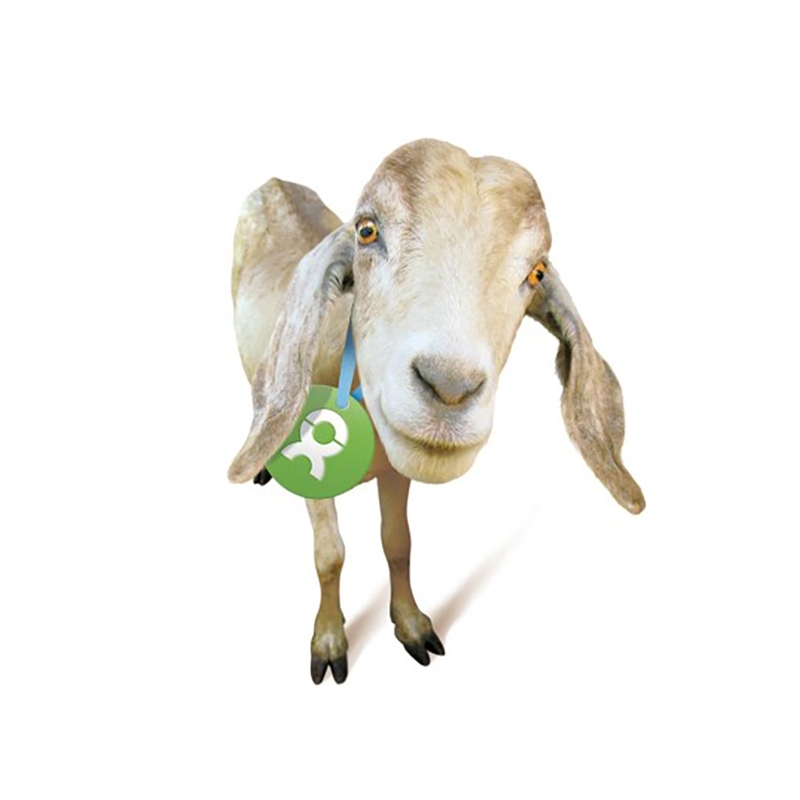 Oxfam Gifts has an online catalogue of charitable gifts for people in need. You simply choose a gift that suits the occasion or person your gifting, and purchase it in their honor. Your friend or family member will receive a card with a photo of your gift printed on the front and information about the donation inside. You can also opt for a PDF version of the card and send it electronically, or print it yourself. Here's the best part - the gifts. The symbolic gifts range from $12 to $5000 and include drinking water, household items, tools, farming supplies, animals, education, training, and you can even help to build a girls school. It's sad to learn that there are people who don't even have toilets - a luxury many of us take for granted. Through Oxfam Gifts you can purchase an emergency toilet. I can only imagine what a difference a toilet would make. I really like the animals. 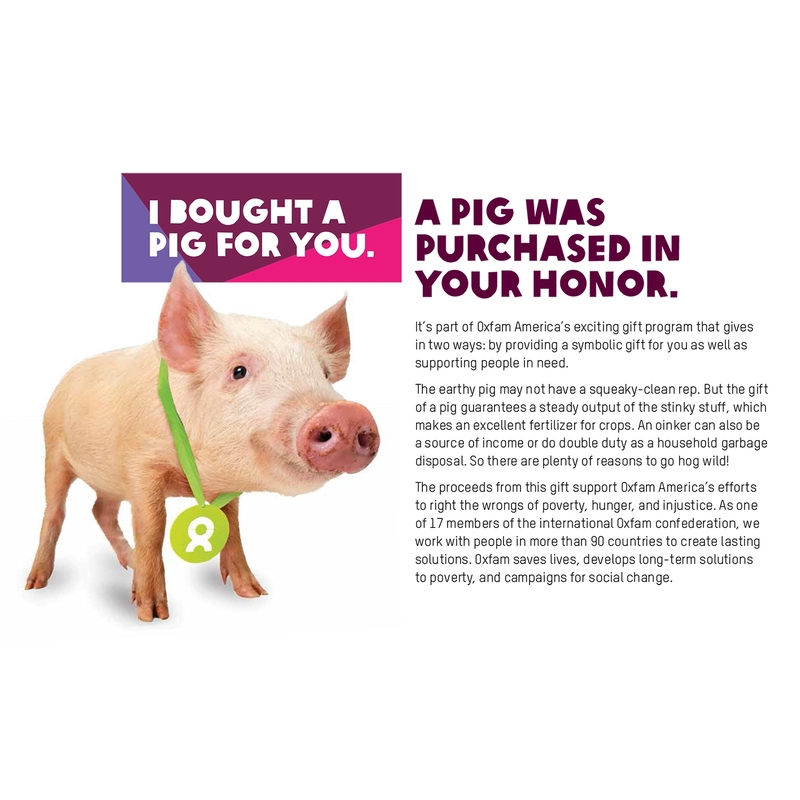 If you know someone who is an animal lover, this is the perfect gift that will make them happy while enhancing the lives of others. You can purchase baby chicks, chickens, goats (my favorite), pigs, cows, sheep and ducks. Each card has a cute photo of the animal and explains that it was purchased in their honor. I love giving gifts, and am a self-proclaimed master at finding amazing gifts. This is my favorite gift idea for 2017. I'm very fortunate to be able to say that most of the people in my life are not in need of anything. It's nice to exchange gifts, but that money can be spent on more productive items such as charitable gifts. Oxfam Gifts are my go-to gift idea this year. I'm sure everyone who will receive a goat or a pig from me, will feel good about it. Visit www.oxfamgifts.com to browse the catalogue of symbolic gifts. This is the best gift you will give this year.